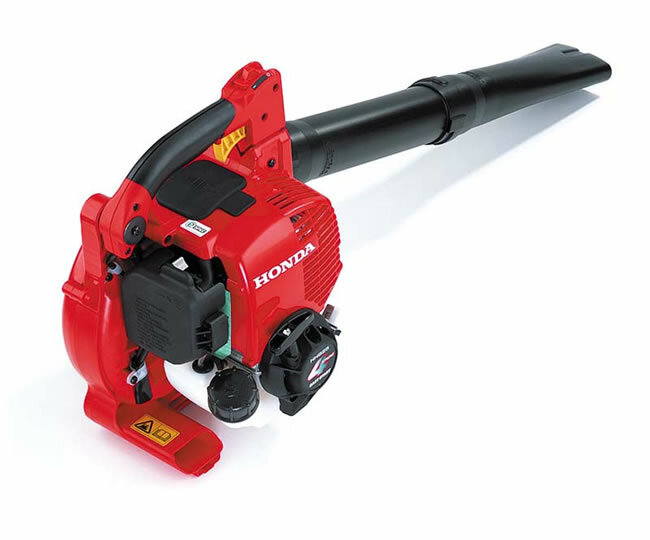 The Honda HHB25E leaf blower confidently steps up to challenge its two-stroke competitors. GX25 mini 4-stroke engine - The world's first 4-stroke blower, this compact, super-quiet and efficient unit generates a powerful blast of air. Unique 360º lubrication system - Allows the blower to be used and stored through a full 360º incline, without risk of damage. Cruise control - Switch to maintain the engine speed without holding the trigger, for ease of use over long periods of time. Easy to handle - Lightweight and well balanced at just 4.7kg for comfortable long term use. Flat nozzle - Shaped nozzle to give an accurate and powerful stream of air at up to 70m/sec. allowing you to move leaves with ease.